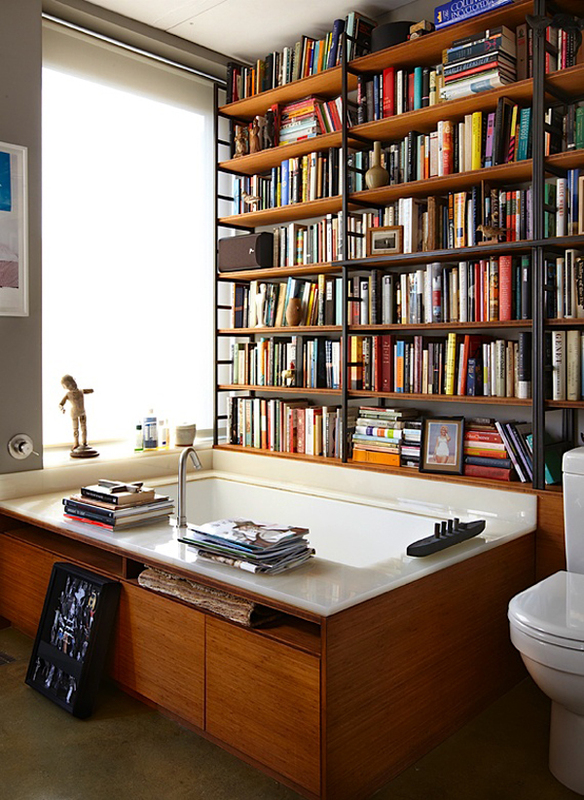 Library in the bathroom or bathtub in the library. Sounds like a good idea? Well, regardless of pros and cons of such a combination there are some designs that look rather appealing. 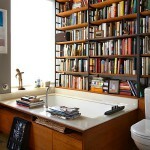 The idea to make the books and water neighbours may seem not the best one but on the other hand what can make a bathroom more impressive? 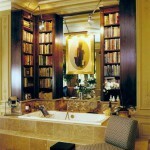 The bathroom home library will need a good ventilation to rid of humid air quickly without affecting the books much. 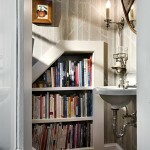 The book also require storage unit that will be both functional and aesthetically pleasing. 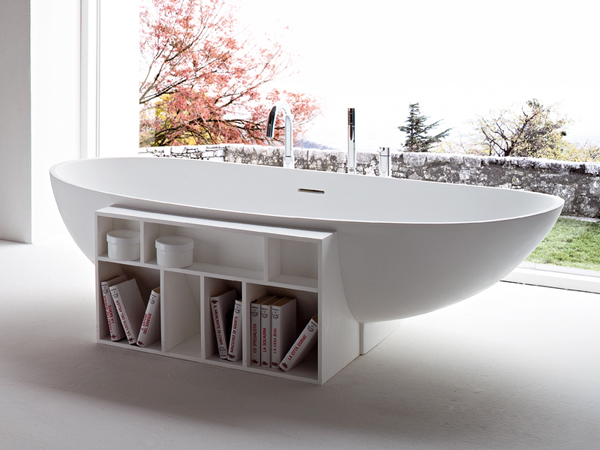 The bathtub itself can be a bookcase as there are designs that allow storing things in the body of the tub. 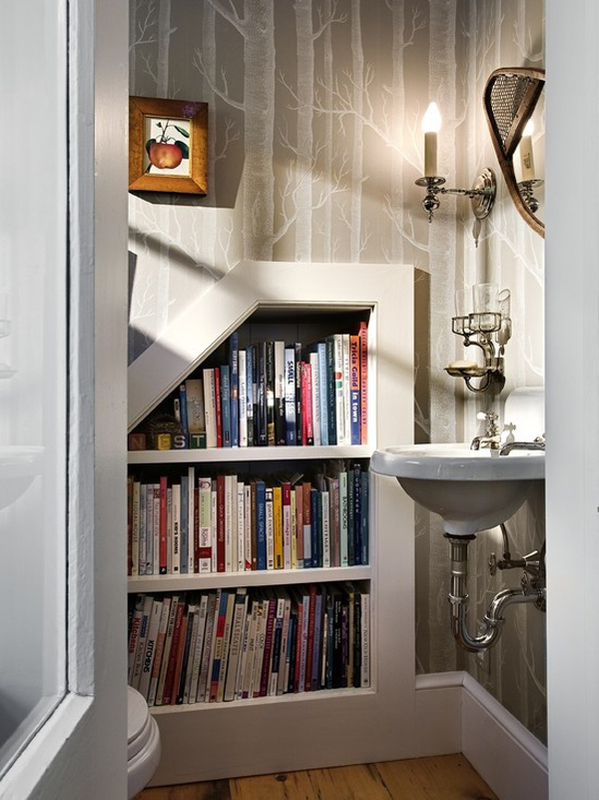 Wall niches can also help store books in the bathroom or powder room. 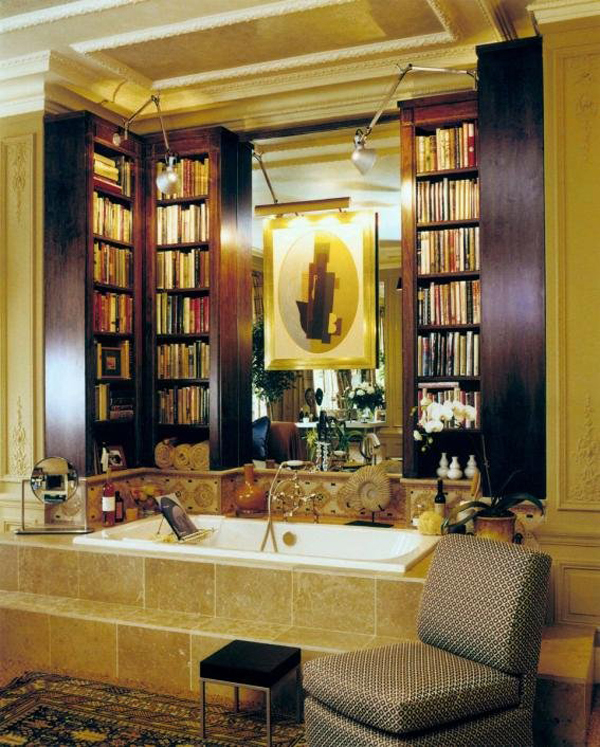 To introduce the library to the bathroom make sure the conditions are suitable, humidity is low, and the books fit there stylistically. This is the best thing ever, especially the last one. 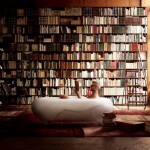 Of course if my bathroom looked like this I would probably never make it to work.